The 26-year-old’s impressive form at the 2018 World Cup and subsequent performances have been rewarded. 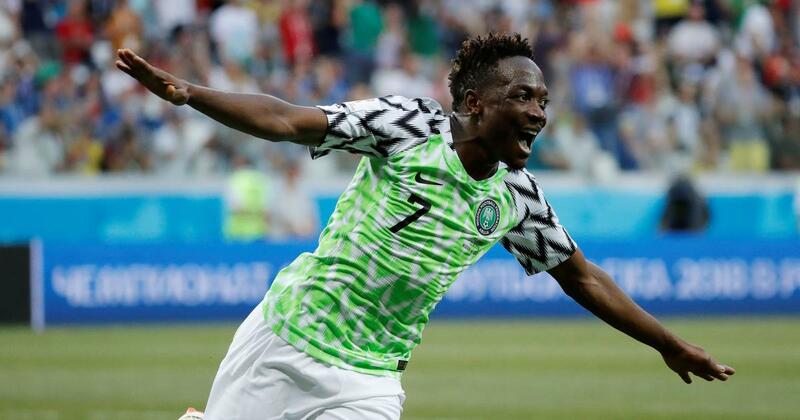 Ahmed Musa has won both the NFF Nigeria Player of the Year and Goal of the Year awards. The Al-Nassr forward was in a scintillating form at the World Cup in Russiascoring twice for Gernot Rohr’s men. The former Leicester City man also played a lead role in helping the Super Eagles qualify for their first Africa Cup of Nations tournament since 2013. The impressive showings saw him beat teammates Odion Ighalo and Alex Iwobi for the best player of the season. The 26-year-old also scooped the Goal of the Year, with his second strike against Iceland at the global tournament – an audacious individual effort - which helped the three-time African champions claim their only win in the competition. Meanwhile, Villarreal sensational Samuel Chukwueze beat off competitions from Galatasaray’s Henry Onyekuru and Sporting Charleroi striker Victor Osimhen to scoop the Young Player of the Year.